It's a well known historical fact that David Hume laughed maniacally the entire time he was writing An Enquiry Concerning Human Understanding. Immanuel Kant credits reading Hume with awakening him from his "dogmatic slumber". 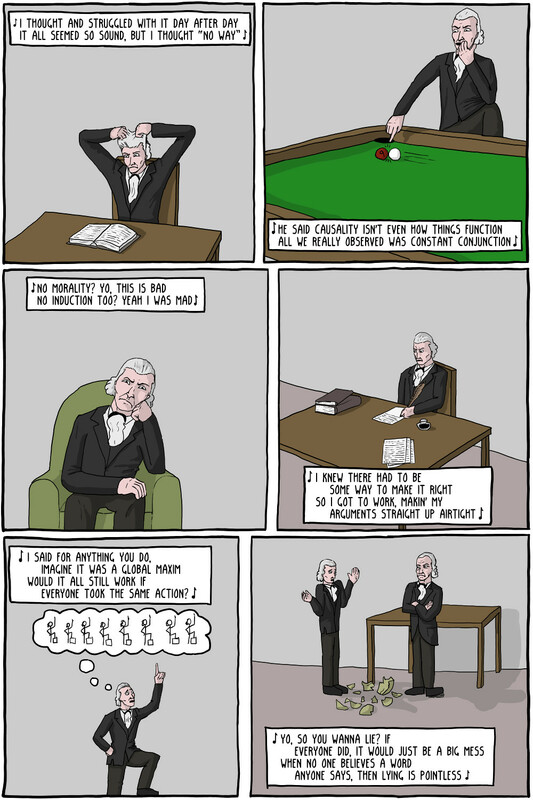 The comic shows Hume's Is/Ought gap and his Problem of Induction. 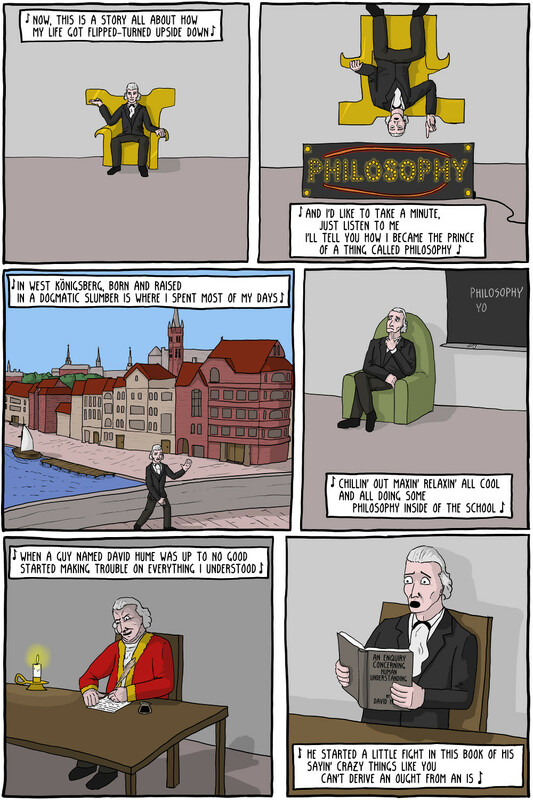 Much of Kant's work in The Critique of Pure Reason was a response to Hume, and that book made Kant one of, if not the, most influential modern philosophers. 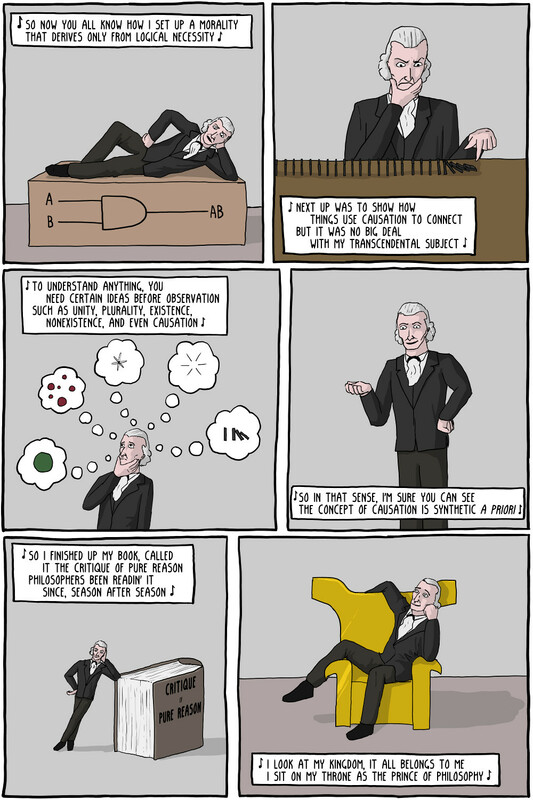 You can read more about Kant's Categorical Imperative and his Transcendental Deduction on SEP, for a more in depth look at how he tried to solve these problems.